Medical offices require a lot of admin. Getting to grips with the finer workings of Microsoft Word means you can create professional looking documents and reports quickly and easily, saving you hours of wasted time trying to format files that wont behave. 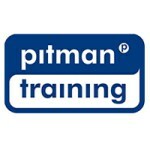 At the end of this course, you will also then have the opportunity to go on and gain a Pitman Training certification and include this on your CV. Entry Requirements Some basic knowledge of Microsoft Word would be an advantage but not essential.